See also, a video describing how to record and process needle-drops of Hill & Dale discs in Stereo Lab. Before the turn of the last century, two brothers, Emile and Charles Pathé owned a successful bistro in Rue Fontaine in Paris where they entertained their customers with an early Edison cylinder phonograph; an innovation which proved so beguiling that many of their clients asked if they could buy one. Eager to seize a business opportunity, but unable to source sufficient stock from America or to obtain the rights to manufacture under licence, the enterprising brothers simply copied the American machine and manufactured it at a local engineering firm in Belleville, in the outskirts of Paris. The enterprise was so successful that, by the end of the century, their factory in Chatou, west of Paris, employed over two hundred workers to meet customer demand. Naturally, the healthy sales of players created a tremendous demand for recordings, and this is where the story of Les Frères Pathé is interesting to the record collector because by the end of the century, the brothers had moved to a new headquarters in the Rue de Richelieu which doubled as a recording studio. (They had come a long way from a café in Pigalle!) In this studio, situated in one of Baron Hausmann's finest boulevards, many famous French and international stars from the nearby Opera Garnier were persuaded to record their repertoires so that, by well before the First World War, the Pathé catalogue listed 2000 titles. By 1908 Pathé had already entered the disc market for a couple of years and had phased-out all production of cylinders. These discs are quaint by modern standards. They use vertical-modulation hill and dale recording (a "hangover" from the phonograph) and have a centre start, so that playback starts on the inside, by the label, and spirals out towards the edge of the record. The correct rotational speed of these records is 90 to 100 RPM - much higher than other discs of the period. The repertoire on these discs is wide and interesting because Les Frères Pathé had pioneered master-recordings on large, wax cylinders from which the commercial media were made. Thus it was just as possible to make pantographs (dubs) of their significant archive to disc as it was cylinder. After the First World War, Pathé discs reverted to the more normal edge-start; with the groove spiralling towards the centre. And the speed was reduced to a more conventional 80 RPM. But vertical modulation was steadfastly retained until 1920 when Pathé introduced lateral-cut records initially for markets outside France. These records were labelled as Pathé Actuelle and sold principally in the UK and America. In France, vertically-cut discs were produced into the 1930s, several years after the assets of the Pathé phonograph company had been sold to the British Columbia Gramophone Company in December 1928*. Even today, Pathé discs are the most likely pre-electric records to be discovered in French brocantes. 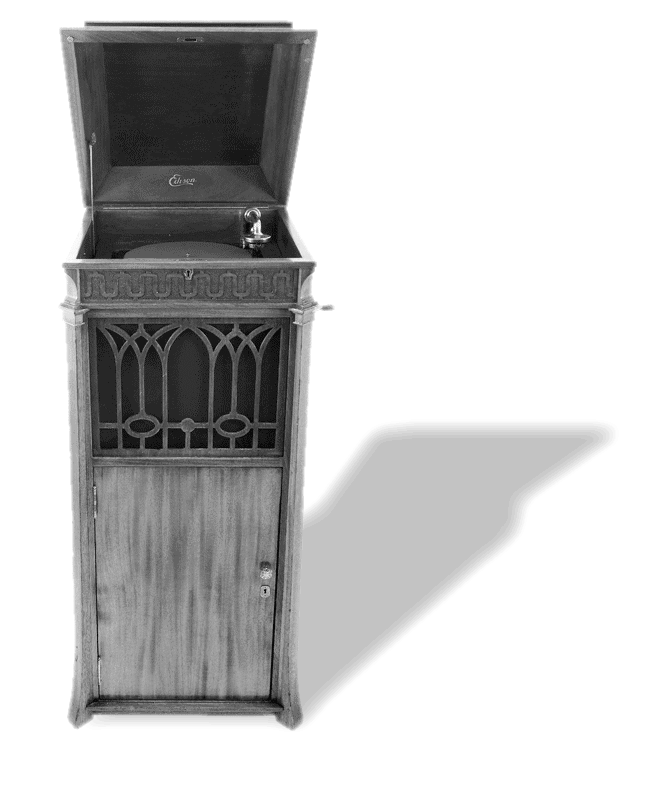 *The British Columbia Gramophone Company was itself to merge (in 1931) with HMV to form Electric and Musical Industries Ltd. (EMI). Despite their historical importance, playing Pathé vertical-modulation discs presents several challenges for the record collector. The recorded speed is very fast (90 to 100 RPM) and this normally requires special equipment and, in any case, puts great demands on the tracking ability of arms and cartridges*. Because the modulation is recorded vertically (rather than laterally as on a normal "78 RPM" record), a stereo cartridge will produce a very noisy signal and a specialised mono cartridge will produce nothing but groove noise! Even mechanical gramophones need to be extensively modified to play these discs so that the diaphragm is parallel with the record surface as opposed to perpendicular to it. *One hundred RPM is only a 28% speed increase over 78 RPM, but accelerations, and thereby the forces on the masses involved, are multiplied by 64%. 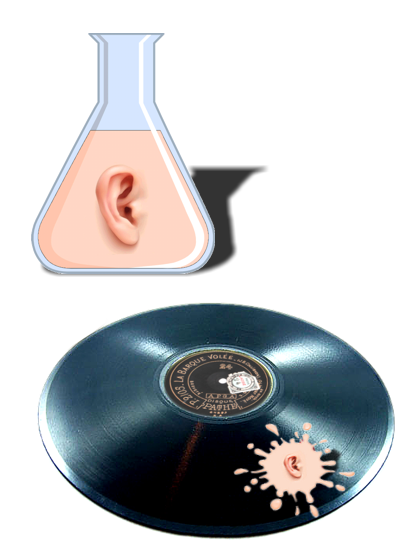 Happily, Stereo Lab (from Version 2.0) has several specialised features for dealing with needle-drops from Pathé discs with standard equipment. By employing half-speed needle-drops, discs may be replayed at 45 RPM and speed-doubled in software. This results in much more accurate tracking with much less tendency to jump - something to which Pathé discs are especially prone. If Hill & Dale is selected in the Phonograph-regime parameters (in the Phono EQ tab of the Preferences), this ensures that all lateral modulation is ignored and only the vertical-modulation is passed forward for further processing. Pathé discs should be equalised flat (Phonograph EQ-F) or with "78" equalisation (Phonograph EQ-D) although sub-sonic rumble may be a problem when the latter is applied. (This rumble, when it is present, is apparently due to the mechanical pantograph or dubbing process.) Always engage the rumble-filter and needle-scratch removal when processing needle-drops of Pathé discs and select crackle-removal. Selection of hum-removal (with bass-compensation) is usually a wise precaution too. An example of how Stereo Lab may be used to get the best reproduction from these important, but unusual, discs is given in this FLAC audio file. Considering this recording was made well over 100 years ago, the results are quite acceptable after processing. The equipment used for the needle-drop here was a Technics SL-1200 mk2 turning at 45 RPM, fitted with a PHLUX cartridge driving a Groove Sleuth preamplifier. 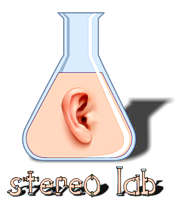 Half-speed processing was used in Stereo Lab to raise the effective rotational speed to 90 RPM. For this needle-drop, the PHLUX cartridge was fitted with a 3 thou'-radius (0.075mm), aftermarket 78 stylus. Pathé discs were designed to be replayed with a 5 thou'-radius (0.13mm) ruby ball-stylus, but we have found that a standard "78" stylus replays these discs quite well. Audacity was used for recording the signal to the Mac. By the end of the century, the Pathé factory, west of Paris, employed over two hundred workers to meet customer demand for phonographs and recordings. 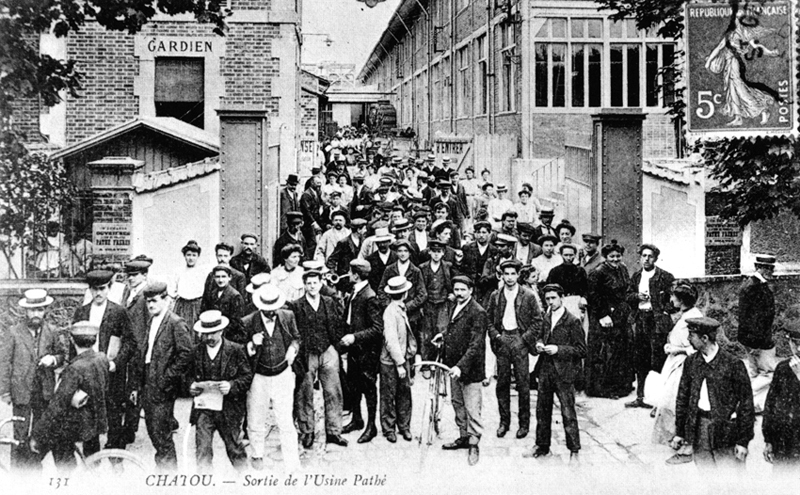 This photograph of the Sortie de l'usine Pathé à Chatou (Pathé workers leaving the factory in Chatou) was taken in 1904 and gives a good impression of the scale of the enterprise. Although superficially more conventional than the Pathé discs of the similar period, Edison Diamond Disc were marketed by Thomas A. Edison, Inc. from 1912 to 1929 and like their French cousins, they were both innovative and quaint. In Edison's case however, the unique nature of his discs was also driven, as usual, by his immense competitive instinct to create a better product so as to trounce his rivals. Edison himself took personal control of the development of the Diamond Discs and gave his team the task of developing a plastic material for the recording surface. Edison's aim was to produce a superior-sounding disc that would outperform the rivals' shellac records, which were prone to wear and warping. Dr. Jonas Aylsworth, chief chemist for Edison developed a material of phenol and formaldehyde mixed with wood-flour and a solvent which was moulded to form the flat core of the Diamond discs. To this core a phenolic resin varnish called condensite was applied. It was just the resin outer skin which took the imprint of the grooves when the record was pressed. This unique construction is the most immediately apparent feature of Edison's discs, for they are 6mm thick; like a pancake! Like the Pathé discs, Edison Diamond Discs were played with a unique machine (made also by Edison) with a jewel stylus which responded to the hill-and-dale (vertical) modulation. The jewel was a diamond which gave these discs their name. Listening to these discs today, it is evident that Edison's hard-work and innovation paid off because, by standards of the time, the quality is very good: the best available in the acoustic era. Ironically, the inventiveness (and general quality) of these discs prevented Edison from adopting electric recording until several years after his rivals and, in retrospect, this was a disastrous mis-judgement which led to the financial end of Edison Records in 1929. Turning at a 80 RPM, the Edison groove pitch was 150/inch, a much finer thread than that on lateral discs of the same period, so that a 10" Diamond Disc will play for nearly five minutes per side. Towards the end of their commercial life, Edison introduced several long-playing Diamond Discs which - with a groove pitch to 450 threads per inch - achieved a playing time of 20 minutes per side on a 12" disc: a performance which wouldn't be repeated until the introduction of the LP twenty years later. Advice for playing Edison Diamond Discs and processing them in Stereo Lab echos much of the advice for Pathé discs above. The speed (80 RPM) is less of an issue than it is with Pathé discs; any deck capable of a nominal 78 RPM will probably do. The radius of the original Edison styli was 3.5 thou' (0.09mm). but a PHLUX cartridge fitted with a 3 thou'-radius (0.075mm), aftermarket 78 stylus will work very well. Above all, Hill & Dale must be selected in the Phonograph-regime parameters (in the Phono EQ tab of the Preferences), as this ensures that all lateral modulation is ignored and only the vertical-modulation is passed forward for further processing. Equalisation applied may be flat (EQ-F) or EQ-D (78). Here is a video describing how to record and process needle-drops of Hill & Dale discs in Stereo Lab. 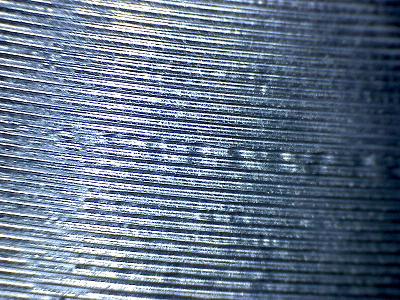 Micrographs of lateral (left) and vertical (right) modulated grooves are given here for interest. 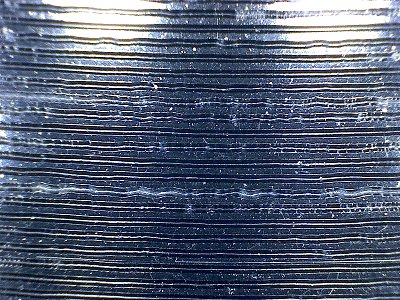 It's easy to see, from the heavily modulated passage in the centre of the vertically-cut, Pathé disc (right), how there is a tendency for the needle to jump from the groove in this type of recording. The micrographs are taken with the same magnification in and it is evident that the Pathé groove is wider than the standard 78. In fact, it's more of a slot than a groove.